Can you keep a piece of paper dry if submerged in water? The power of air can! 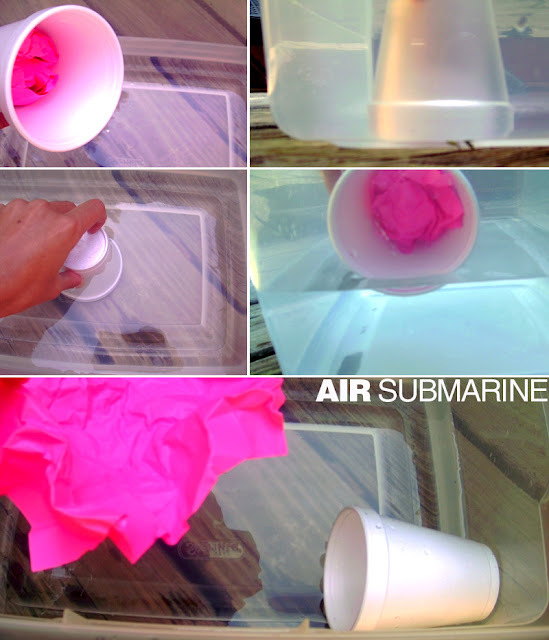 Crumple a piece of paper into a ball, wedge it tight inside of a cup, turn the cup upside down, and submerge it straight down into a pool of water. Lift the cup straight up, the paper remains dry! This is a great experiment to teach kids about air pressure and also when introducing gas as one of the states of matter. Even though we can't see air, it's there! I'm on the lookout for some fun summer science experiments (anything messy or involving water) and this is going on my list. Thanks!